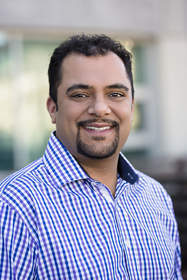 SANTA MONICA, CA--(Marketwired - Dec 10, 2013) - Adconion Direct, a global leader in cross channel digital advertising across display, video, mobile, email and social, today announced that Raj Gill has joined the company as Vice President of Automotive. In this new role, Gill, formerly Vice President, Associate Digital Media Director for Team Detroit, WPP Group's global agency group servicing Ford Motor Company, will oversee all automotive-based strategy, sales and product marketing functions for Adconion Direct. The announcement is paired with the news that Adconion Direct has opened a Detroit office location to better serve the needs of US automotive clients. Adconion Direct works with key auto brands that include Mercedes, Chrysler Group, FIAT Brand North America and Porsche. The company's integrated cross channel platform technology delivers in-depth audience insights from display, video, mobile, email and social to maximize digital ad campaign performance and engagement. "Handling digital media for one of the top automotive brands in the world, I have had the opportunity to evaluate many technology and media platforms over the last 10 years," said Gill. "Adconion Direct's unified data and technology stack is truly one of the most outstanding and forward thinking solutions in the market and I am thrilled to join their team. There is a tremendous opportunity for automakers to engage prospective buyers at scale, and precisely when, where and on which devices consumers are spending their time online." Adconion Direct is proud to provide cross channel digital advertising solutions for five of the top ten global automotive brands. Adconion Direct's technology platform enables marketers to leverage data from one channel to drive performance across other channels, maximizing efficiency and results at every level in the buying funnel -- from brand awareness to consideration to conversion to ultimately brand loyalty. "Raj is a fantastic addition to our team as we continue to grow our automotive-focused advertiser solutions," says Kim Reed Perell, CEO of Adconion Direct. "Raj's decade of experience in agency and brand side operations will enable us to continue to provide best of breed cross channel digital advertising strategies for our automotive clients, empowering them to reach their target audiences with the greatest accuracy, speed and effectiveness."